This upscale Paris vacation package can be customized according to your preferences. In Paris, you will stay in an elegant hotel in what we currently consider one of the best neighborhood for the authentic Parisian experience. It is in the heart of an upscale and lively neighborhood filled with fabulous restaurants, lively outdoor cafes and artisan shops for cheeses, chocolates, spices, wine alongside a butcher a vegetable market and numerous boutiques for clothes and shoes. Your time in Paris will include a fun gourmet tour that will take you to a market and some time in one of the best museums of the world, the Louvre museum. A day trip to Versailles to see the palace, the garden and Marie Antoinette’s hamlet are just some of the many highlights of this Paris vacation package. You will have a couple of days to explore Paris as you please. 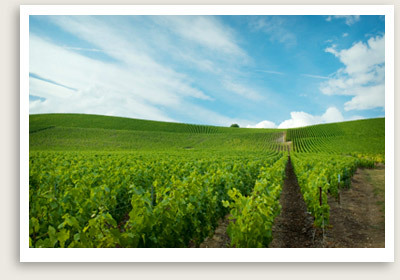 You may consider a day trip to the Champagne region visiting important producers and tasting some of the best qualities of Champagnes or see Monet’s home and garden in Giverny. The elegant, comfortable and centrally located accommodation in this upscale Paris vacation package is carefully selected to make sure you are absolutely comfortable. 7 Days, 6 nights in Paris. Additional nights can be arranged. NOTE: Additional nights in Paris or anywhere in France can be arranged. NOTE: Hotel choices and travel dates affect pricing. 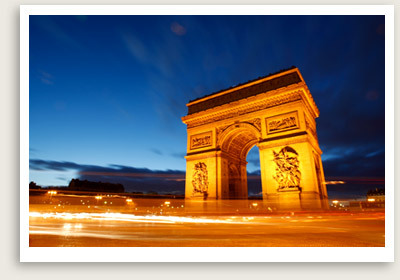 Upon your arrival to Paris, a driver will pick you up at the airport and conduct a driving tour of Paris. On this driving tour you will see a panoramic tour of Paris to some of the most spectacular monuments and historical sites in Paris. 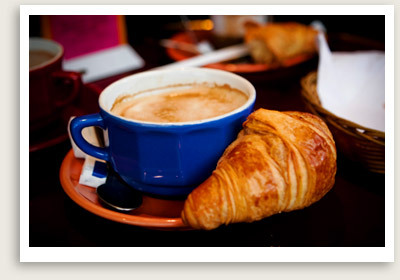 Your private Paris tour includes a stop with free time for self-exploration in Montmartre. You’ll see more of Paris in this three-hour trip than you could see on your own in a full day! At the end of your driving tour, you will be dropped off at your hotel. You are on your own for dinner. Your expert guide will meet you at your hotel. You will start your tour off with a fun and delicious Parisian gourmet tour starting with an outdoor market (dependent on day of the week) and then onto the famous Rue Mouffetard, the old Roman road leading to Rome! Today the street is lined with classic architectural treasures and go urmet food shops, which you will explore with your expert gastronomy guide. You will saunter with your private guide through shops selecting the finest and freshest hams, cheeses, breads, olives, fruits, pastries and chocolate from the most famous artisans of France. 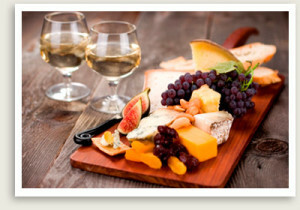 You will take all of your delectable purchases to a small foie gras shop, including a few very fine varieties of seasonal fruits, to a boutique of Southwestern specialties where you will have your picnic lunch with foie gras, goose or duck rillettes, fresh breads and more. Bon appétit! NOTE: This food tour can be fully customized for you. After the gourmet food tour, the next stop in your Paris Vacation Package is a tour of the historical Louvre Museum. One of our expert Paris museum guides will take you on a custom private tour of the Louvre. The Louvre museum is the world’s largest palace and museum, it is home to the Mona Lisa, Venus de Milo, and other artistic treasures. Note that we can customize this tour to suit your interests. This guided walking tour of Paris features two islands on the Seine, the romantic river that threads its way through Paris and beyond. First is the Paris walking tour of Ile de la Cité, considered the cradle of Parisian civilization. You will have a guided tour of Notre Dame, Pont Neuf, Vert Galant square, Place Dauphine, Conciergerie, the gardens of Hotel Dieu, Rue Cha noinesse and the house of Eloise and Abelard. Included in this tour is a visit to Notre Dame. Next on your Paris walking tour, you will visit Ile St. Louis, a tranquil getaway from the hustle and bustle of Paris. Here you will visit Quai d’Anjou, which houses the former residences of Daumier, Daubigny, and Cézanne, and Quai de Béthune, once home to Helena Rubinstein and Georges Pompidou. Exclusive art galleries and gift shops line the main street of Ile St. Louis, offering one-of-a-kind shopping opportunities. This Paris guided tour concludes with a stop at Berthillon, thought to be the best ice cream shop in Paris. You may choose to linger in the area after your time with your guide. There are many more great museums to visit, interesting neighborhoods to explore and fabulous shopping opportunities to consider. We’ll help you plan this day. On the itinerary today, is a day trip to Versailles. If scheduled on a Saturday, you will be able to start with a market visit in town before heading to the Palace of Versailles. French history will come alive as our excellent Versailles tour guide whisks you on this guided tour of the sumptuous palace of Versailles. The tour of Versailles will take you on panoramic tour (no inside visits) of the Grand Canal, the Grand and Petit Trianons, and the Hamlet of Queen Marie Antoinette. Hear the interesting and sometimes outlandish stories about Louis XIV, the “Sun King” and those who resided within the palace. Enjoy a tour of the Royal Apartments, the Chapel, the Hall of Mirrors, and the Queen’s Apartments. Included in your day is the Palace’s magnificent gardens and groves. After a lunch stop at a local bistro or if preferred, a more upscale restaurant, you will tour Marie Antoinette’s estate. Paris has so many museums that should be visited but the city itself with its charming neighborhoods, amazing architecture and incredible shopping, is a joy to simply wander around. We will have suggestions on how you may spend this day. You end the night with a fabulous dinner cruise on the Seine. Optional Tour: Giverny with y our private tour guide’s introduction to the life and work of Claude Monet. You will have a guided tour of Monet’s house, the formal enclosed Norman Garden, the Water Garden with pond and Japanese bridge, and the artist’s workshop. 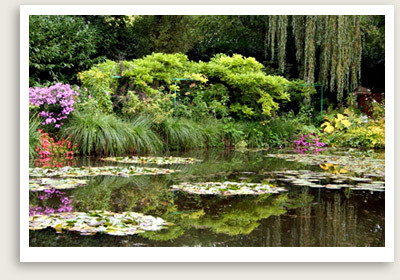 Closings: Giverny is closed for tours November through March, and is also closed on Mondays. 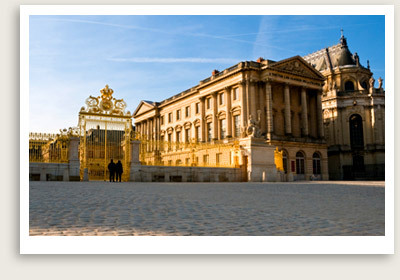 The Palace of Versailles is closed on Mondays and some holidays. Private transportation will pick you up at your hotel and drive you to the airport. NOTE: This Paris vacation package can be customized to include your desired destinations and activities or you may design your own Paris vacation package with our assistance. Inquire.